and praise every lent pulsing moment. the soul cannot speak that language, that speed, that separation. Please, listen closely, look here now and see…. 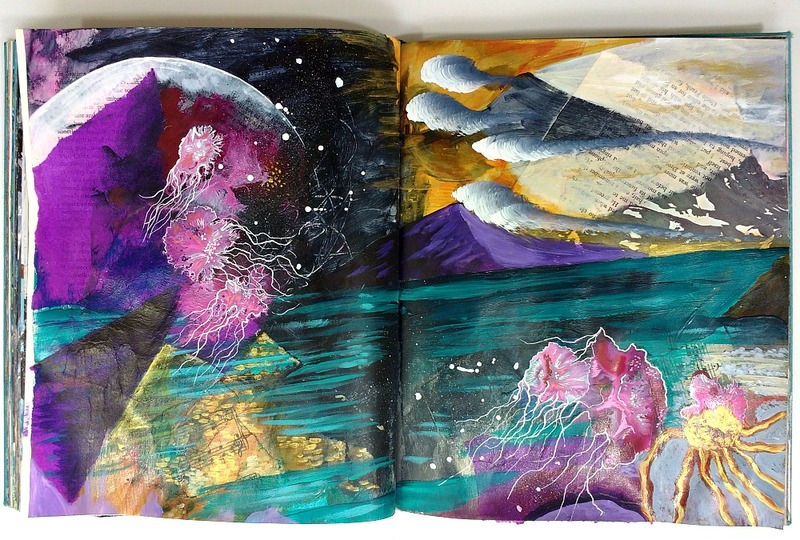 The cosmic dreamscape spread above was a meditation with color, a dance with making magic out of 'mess' in my creative process, and one of my favs in this mixed-media altered book. 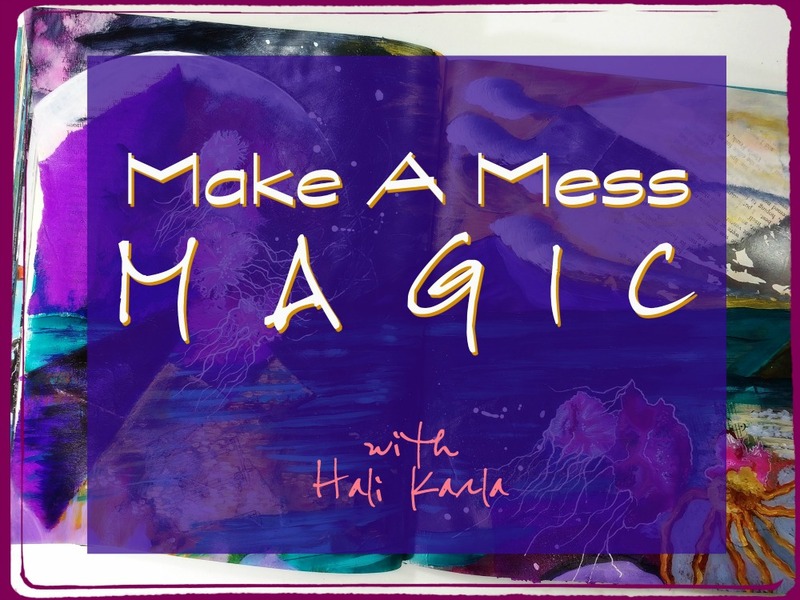 It was also part of my lessons for Make A Mess MAGIC in the workshop Color, Color, Color (for 21 Secrets). There is a three day flashback sale happening for 5 editions of 21 Secrets right now, when you use code: FLASHBACK. 21 Secrets is always stellar for art journaling. Tons of teachers, themes and lessons to choose from and receive, to rejuvenate and inspire your creative practice, plus you get that good feeling bonus of supporting working artists, too.